Now touring her fifth album, Standing Still, Quebec singer-songwriter Kyra Shaughnessy’s music is a catalyst for transformation. 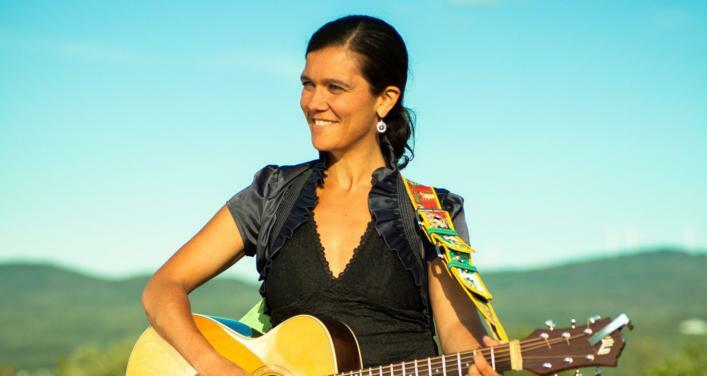 Her songs invoke presence and awakening.With her Indo-Trini-Irish-Scots heritage, Kyra is at the forefront of the struggle to represent the diversity of Canadian musical identity. Her folk-roots style, with songs in English, French and Irish Gaelic, is heavily influenced by the music of both Ireland and West Africa.